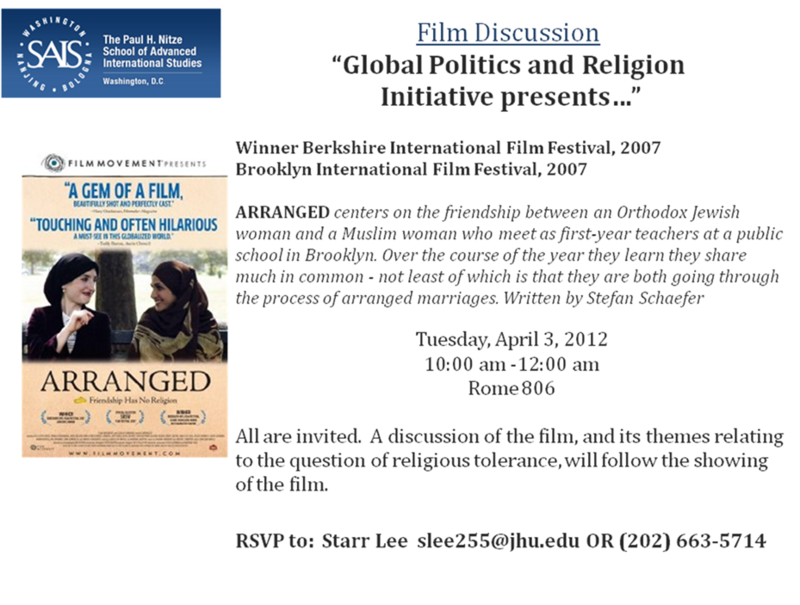 The event will be held in the SAIS Rome Building, at 1619 Massachusetts Ave NW, in Washington DC. Entry filed under: Uncategorized. Tags: Arranged, arranged marriage, Brooklyn, education, event, film, Helping Women Helps the World, religious tolerance, SAIS, women, women's development.